Nearly all products have options of some type or another and presenting them clearly is of great benefit to businesses. I look at the benefits of how product variations can improve your business and make your customers happy. A cosmetics website has many products, while each product has a number of color or shade options. The user interface was designed to feature color swatches related to the product. 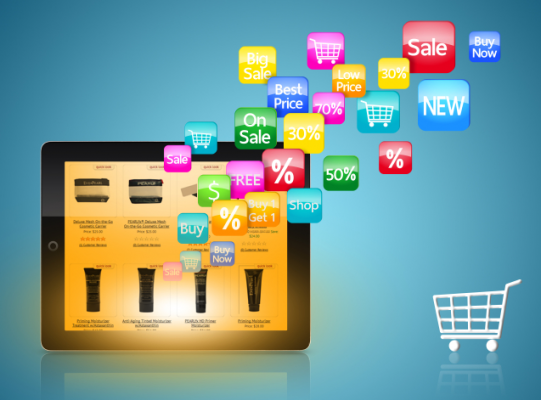 The product variations here allows the e-commerce and purchasing process to be simplified. The customer doesnâ€™t have to see the same product multiple times with the different colors but rather see a clear presentation of the products with its options. This example illustrates how product integration can improve navigation on the page and search results throughout the site. This simplified presentation with the improved user experience leads to an improvement in the revenue stream. An education site offering learning materials presents their products in a clear way. With many products on different levels and concentrating on different areas within the same general products, the product collaboration allows for the central products to be featured like a math exercise book with then the number of different variation presented. This case showcases how the product display does not just simplify the user experience but allows the customer to see the range of products in context with related products, removing any confusion about the products. An e-retailer featuring computers and other tech hardware maximizes usability by configuring the products to improve presentation on the webpage. While a computer can be bought for $200 a number of variations and options can change that price considerably. The optimized arrangement of the products clearly presents all the options and allows the customer to consider what they want. The store front displays the price increase related to options. Dynamic pricing changes the price accordingly as the customer chooses his specifications. The transparent process presented to customers makes them feel comfortable to buy, improving the e-commerce experience and increasing the conversion rate. A baseball bat manufacturer uses an improved product sequence aimed at creating a strong shopper experience and a customization opportunity. They give complete control over to the customer to create their own personalized bat. The user interface presents 12 options from wood type and dimensions to bat colors and weight through to engraving and flag details with delivery options ending the process. The user experience driven design encourages shoppers by buy the product improving sales value and conversion levels. The information architecture is coded to display a graphic representation of the product as you choose your preferences. While this level of coded features is at their most creative and complex level, it shows the wonderful way the positioning can impact on the user experience. Products and services that can use visual arrangement can engage with customers that increase conversion rates. A product variation options gives strength to the SEO of the site. When products are repeatedly copied with different features like color or size it is seen as less valuable and relevant to users in the eyes of search engines and is flagged. Another problem when products are repetitive when a product with one variation is viewed more than other variations. The search results for the popular variation increase and eats into the exposure of the other variations which then affects the overall SEO strength for the website. The product variation optimization makes sure that the website is promoted as a whole with the equal products and their variations so customers can see clearly what options are available.